With the start of another summer season on the horizon, it's time to pull out the patio furniture and plan your next outdoor gathering. Why not spice it up a little this year? Woodland Direct has partnered with Pacific Living, Inc. to provide everything you'll need to host your next pizza party. Pacific Living is a family owned and operated business with more than 30 years of experience in the heating and import business. They've developed a gas-fired pizza oven that will give you more responsiveness with your cooking than usual wood-fired ovens because you'll be able to accurately and easily control the temperature. 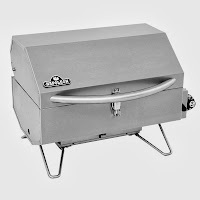 The CSA certified Pacific Living 430 Stainless Steel Outdoor Pizza Oven with Cart is an ideal unit for those not looking for a permanent fixture. 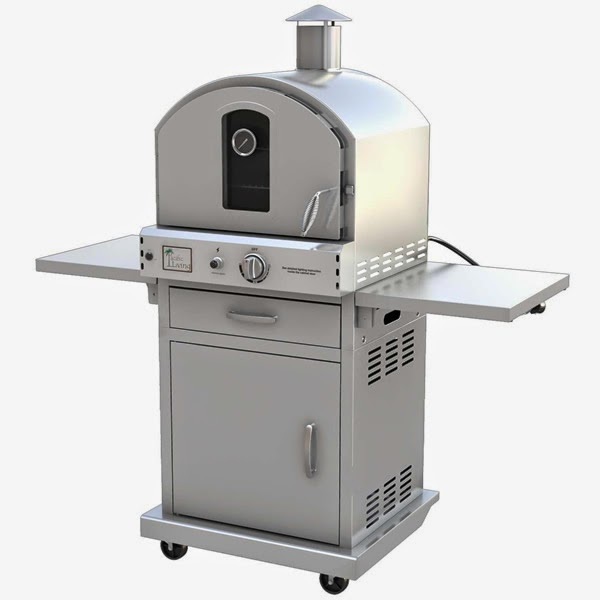 It comes on a heavy duty, stainless steel cart with two front-locking casters, so you can move this oven around in your backyard without worrying about its stability. To keep it on an outdoor kitchen counter or other space, remove the oven from the cart and install the available protective feet. With its three included oven racks, this pizza oven can cook up to three 16" pizzas at a time. It also has fold-down side shelves on each side of the oven for extra prep space and a roomy bottom drawer for additional storage. Finally, halogen lights at the back of the oven allow you to watch the cooking process without opening the door and letting out the heat. 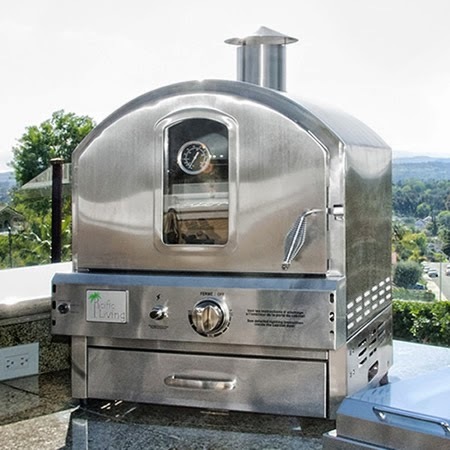 The Pacific Living Built-In 430 Stainless Steel Outdoor Pizza Oven is much like the other unit, except it's designed to be incorporated into an existing outdoor kitchen. It includes an NG orifice kit and protective feet kit for countertop use, but is built with necessary clearances to combustibles in mind. All that is needed is proper venting. Though the overall heat of these ovens can be affected by the weather outside, these gas-fired ovens will heat up much faster than the typical wood-fired oven, making them optimal for any outdoor entertainer. When set to high, these pizza ovens will heat up to 400 degrees in only 20 - 30 minutes! And if you're still looking for a wood-smoked flavor, you can add wood chips to the included smoker box! What do you think of these products? Leave your thoughts for us in the comments. 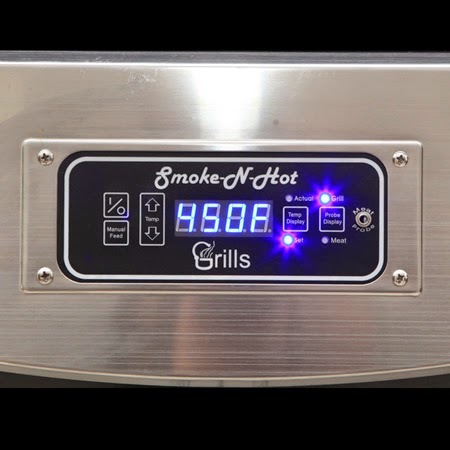 Smoke-N-Hot Grills has made it their goal to design and produce a pellet grill that will create tender, flavorful food every time - and we can vouch for their success! Recently, they came into Woodland Direct to do training and a demonstration, bringing with them their Pro model pellet grill and a trunk full of food for our cooking presentation. 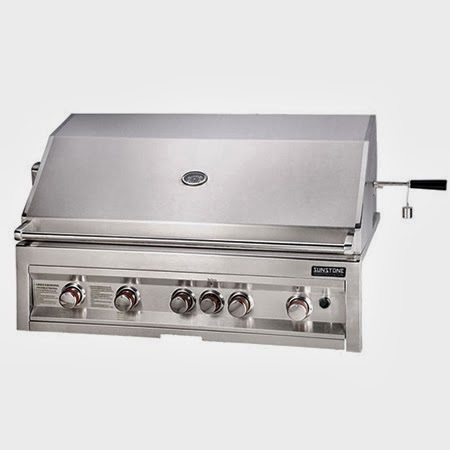 Even when cooking a range of different foods including convection style pizza and succulent grilled chicken, the Smoke-N-Hot Pro Pellet Grill is simple to use. It's designed with easy-to-push digital controls for one-touch cooking. Simply set your appropriate cooking temperature and utilize the built-in meat probe to gauge when your food is done. Temperature settings range anywhere from 180° - 600° to provide a variety of cooking opportunities. And, because these grills are designed to be a total cooking center, you'll be able to use it equally well for grilling, smoking, searing, and baking - even cakes and cookies! This unit has 718 sq. in. of cooking surface. 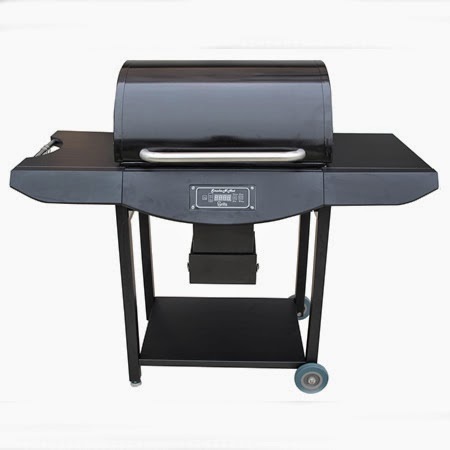 These pellet grills are designed to be convenient and easy to use. They're built with a generous 23 lb. hopper, allowing them to hold the entire standard 20 lb. bag of pellets. Because of this, you typically won't have to add extra pellets as you're grilling. 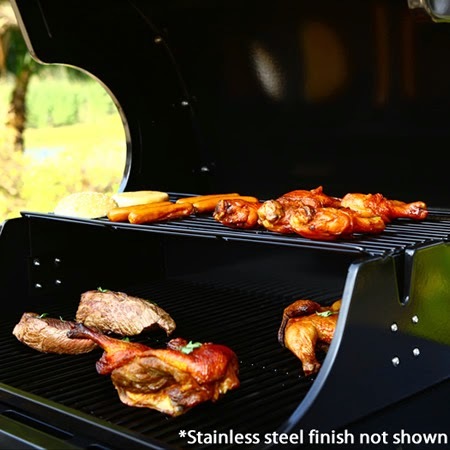 Made from a combination of 304 stainless steel and carbon steel, Smoke-N-Hot pellet grills will last through many grilling seasons. They're coated with a durable porcelain enamel on the hood, cooking surfaces, and the burn pot for endurance and easy clean up. 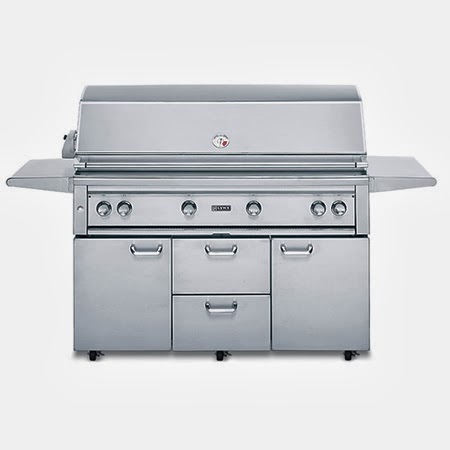 These pellet grills are also designed with side shelves for extra food prep space. 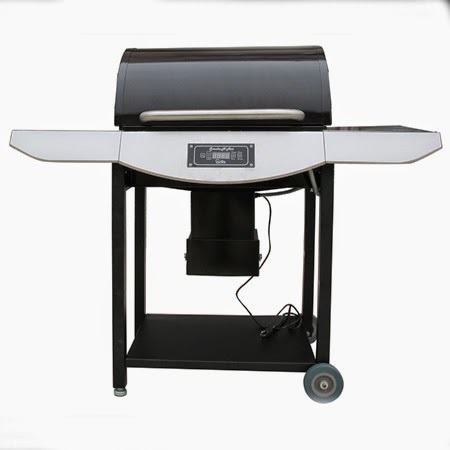 The Smoke-N-Hot Supreme Pellet Grill is built much like the Pro Pellet Grill, but it is outfitted with several additional features. With this unit, the temperature will go up to 650° (instead of the typical 600°) and has a total cooking surface of 950 sq. in. - perfect for a party! Barbecue is always in season - even during the winter months! Nobody knows this better than Bull Outdoor Products. 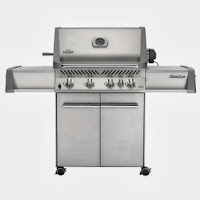 After more than 20 years in the grilling industry, Bull has refined their outdoor kitchen models to reflect their ingenuity, longevity, and master craftsmanship. So whether you're envisioning a meal of shish kabob for six or a traditional Tex-Mex beef brisket for a crowd, take a look at some highlights of their outdoor kitchen islands and see for yourself! Bull outdoor kitchen islands have been designed with simple customization in mind, giving you the opportunity to obtain a unique look and practical configuration for your entertainment area. These kitchen islands come equipped with your choice of a built-in grill and island refrigerator, and can be finished with a variety of materials and veneers ranging from granite and tile to attractive stucco. Each unit provides you with the option for convenient upgrades like built-in side burners, an optional umbrella, or additional GFCI outlet. You can even choose to add an AM/FM/CD player with speakers to your unit. These units are available in several different shape configurations, including straight and L-shaped. An L-shaped outdoor kitchen island is ideal for the seasoned entertainer, because it provides lots of seating around the counter for your friends to gather while you cook. 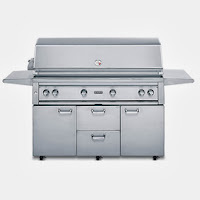 With their galvanized metal frames, Bull outdoor kitchens boast of a solid construction. Galvanized metal is especially reliable in outdoor spaces, because it's rust resistant. Thanks to this structural composition, your outdoor kitchen island will hold up even after years of exposure to snow, rain, ice, or extreme heat. Galvanized metal is also easy to cut or mold in case you're interested in making additional modifications to your outdoor kitchen island. Additionally, the bases of these islands are enclosed with outdoor rated non-flammable cement board before they're finished with high quality stucco or rock. This is especially important for products that house flame-burning appliances. The internationally recognized CSA certification signifies a higher level of quality and safety in electrical, mechanical, plumbing, and gas products. 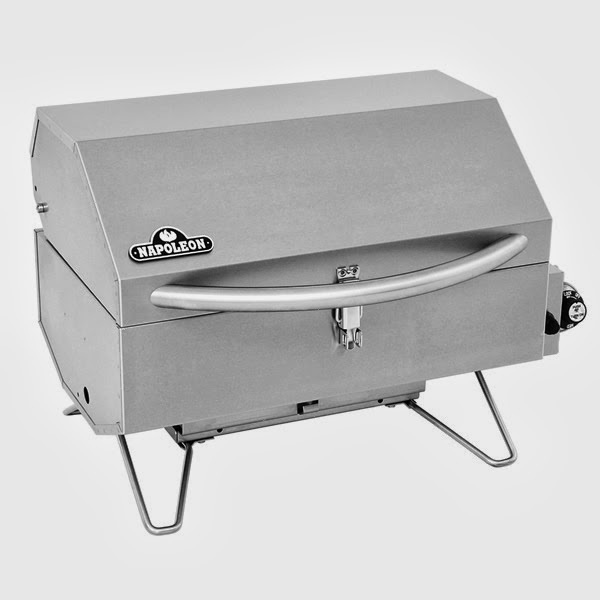 Every built-in grill from Bull Outdoor Products has been tested and certified in one of the labs from CSA Group, which should further provide you with confidence in your product. CSA experts are just that - experts in their field. They have a longstanding history of working to understand and reconcile industry standards all over the globe. Because these units have been tested in accordance to the rigorous standards of CSA certification, you can be sure that they are safe to use. If you have additional questions or want to know more about one of these award-winning outdoor kitchen islands, contact our NFI certified specialists today at 800.919.1904. They're available to work with you for the entirety of your project - from its conception down to the delivery and future support. Unlike convection or conduction cooking, infrared energy is not altered by cold air. Infrared grills administer electromagnetic energy (EM) directly into your food, not around it. When these rays strike the organic molecules inside your food, the molecules begin moving around, creating their own heat. Essentially, infrared cooking prepares your food from the inside out. For that reason, make sure that you use a food thermometer to gauge the inner temperature of your meat, rather than cutting into it and breaking the flavor seal. used to grill our foods. Infrared grills generate much higher temperatures and can heat up faster than standard gas or charcoal grills. With convection cooking, temperatures top out around 750° F.Conversely, the temperature averages about 900° F and can reach as high as 1,600° F for infrared grills, making these units ideal for searing meats. Proponents of infrared cooking often boast that you'll enjoy meats or vegetables with twice the flavor in half the time. These grills emit heat so quickly that you should be able to prepare your meal in a matter of minutes. That's a convenience that everyone can enjoy! ***Please note: Infrared cooking is completely safe. Though incredibly efficient for cooking food, these burners and grills do not carry enough power to transmute or damage DNA. There is a difference between Barbecuing and Grilling? Most people use the terms "Barbecuing" and "Grilling" synonymously. However, these are two different cooking styles. It may be difficult to break the habit of using these words interchangeably, but let's talk about what make these techniques unique. It's completely different to barbecue your food. Barbecuing is a very slow method of cooking and can take several hours. A barbecue smokes and cooks food at a low temperature over a long time to cook it completely through. Barbecues also have a closed design to aid in smoking the food. Unlike grilling, the food is separated from the heat source and is indirectly heated. When considering whether you should buy a grill or a barbecue, think about a few different things. First, what kind of meat do you want to cook? If you want to cook smaller cuts of meat, it's wise to go with a grill over a barbecue. Second, how long do you want the cooking process to be? 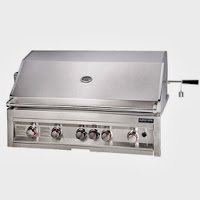 A grill is the best option for someone looking to cook up a quick dinner. 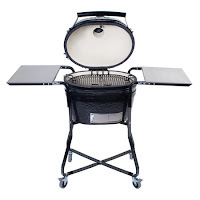 Because of the convenience offered, grills are definitely the more popular option. However, barbecues allow you to create many meals that you may be unable to dish up with a grill. In the end, the decision is yours. Choose the type of appliance that suits your cooking pursuits - you can't go wrong! With 25 years of background in the fireplace, chimney, wood stove and outdoor living markets, Woodland Direct is one of the largest and most experienced companies serving the market. Call one of our NFI certified team experts at 800.919.1904 to discuss your purchase today. Kitchens are the heart of any home. From prepping your signature family pasta sauce to drinking hot chocolate with your kids after the first snowfall, kitchens remain central to knitting people together. So, why not extend that appeal to your outdoor space? Outdoor kitchens add ease to the cook's usual routine and a certain sense of sophistication to al fresco dining. Many people are drawn to the idea of using their outdoor kitchen as a social gathering space for entertaining large crowds or intimate circles. With this set-up, you'll be able to prepare, cook and serve any food you have in mind, all the while continuing conversation with your guests in the fresh air and sunshine. It's a practical way to spend time together and still have those spare ribs on the table by dinner time. In addition, you'll keep the mess right where it belongs - outside your house. As the primary designer of your unit, you select pieces that complement the look of your outdoor space and your budget. Outdoor kitchens can be highly customized, from their general layout and counter top finishes to their individual components - grills, refrigerators, smokers, even outdoor beverage centers. Whether you're looking for mission style or Mediterranean, lower cost or luxury, the design styles are endless. Outdoor modular kitchens are built with pre-made parts according to the customer's individual preferences. Most recently, these units have gained popularity from consumers, largely in part to their practicality, price, and additional versatility. The custom outdoor kitchens from Woodland Direct are no exception. With their sturdy galvanized steel frames and tailor-made designs, each unit promises to exhibit a quality and character that will be perfectly in step with your vision. Best of all, these modular outdoor kitchens will ship to your house pre-built and ready to go. That way, you won't have to worry about contractors tearing up your lawn or occupying your backyard through the prime summer season. Have it delivered in the morning and by nightfall, you'll be ready to party! You can even take the kitchen unit with you if you move. You'll work with one of our dedicated outdoor room designers to complete your purchase. They're here for you from the conception of your idea to the completion of the project to provide advice and answer any questions that you have. The outdoor kitchen island designs from Woodland Direct comply with dependable clearance to combustible standards from the manufacturer. These high safety requirements ensure that the area beneath or surrounding your grill and other flame-producing appliances don't burn. With Woodland Direct, you'll never have to sacrifice aesthetics for durability. What sets the Kamado grill up from all the other grills out there is its amazing, innovative grilling power and its wide array of accessories. A barbeque isn’t just a barbeque anymore, it’s an event and a centerpiece. The Kamado grill is certainly usable and efficient on its own but as part of your outdoor living space, it deserves a special place of its own to call home. A Kamado grill base is a great way to provide stability and efficient portability without bulking up the grill. Simple in design, these cradles come complete with four wheels so you can transport it anywhere you choose and locking casters to keep it secure and in where you put it. These bases also add a little height and are a great choice if you’re looking to make it a little more like a traditional grill. Smart carts designed specifically for the Kamado grill not only provide you with the height, stability, and portability you may be after but also provide a few handy extras. With ample USDA approved preparation space surrounding the grill and a useful storage shelf underneath for keeping spices and cookware handy, these smart carts are an ideal solution. Mounted on heavy duty wheels and available with 28 tile option choices, it’ll be a cinch to perfectly match any outdoor décor. Now, if you’re looking for a true centerpiece and the ultimate backyard grilling experience, look no further than a Kamado grill island. All the usability, portability, and convenience of the grill base or smart cart, but with a little extra pizazz, these portable outdoor kitchens make a statement. High end in design and weatherproof, these handy cabinets are available in a wide assortment of styles, colors, and with varying options so that you can choose one to blend in to your décor or to make it stand out.